Donald from Skye is a project to promote tourism on the stunning Scottish island of Skye. A full AI chat system so tourists can ask anything about Skye. 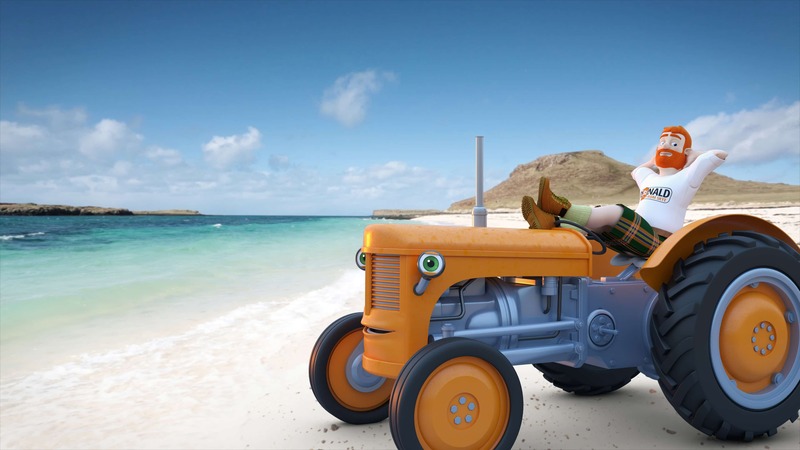 We brought two characters to life, Donald and his trusty vintage tractor Fergie. All the 3D animation is super imposed over real footage of Skye and they really compliment each other. It had to feel like the animated characters were really there. All ready its been a huge success with expansion into China as many Chinese tourists visit Scotland.